Google released its Google Sitemap Generator at Google code licensed under Apache License 2.0. Sitemaps are very useful for webmaster to tell the search engines about the pages of the sites which are available for crawling. This Google Sitemap Generator supports for both Apache server on Linux and Windows IIS versions. Installation guide is very useful and of course installation on your own server is easy. Microsoft released windows 7 for testing purpose only on last January 9th, 2009. I am one of them who downloaded it. I tried to install on both of my PC and laptop but with no luck. I had problems on both that Windows 7 did not start properly (blank black screen) after successfully installation. Successfully installation? huh. Those problems solved when I install Windows 7 on VmWare. Surprised? It comes with few applications since it released as testing purpose. I don’t have plan to use Windows 7 right now. Thinking of why they released Vista? Now I’m happy with oldie XP and Vista. 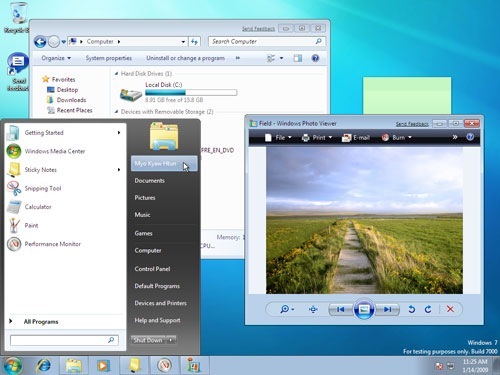 This is the snapshot from Windows 7 in VMWare. You can download Windows 7 from Windows 7 official site. Remember that Microsoft limits download to 2.5 millions downloads. Data Liberation Team from Google released Google Blog Converters in Google Open source project. Google Blog Converters allows you to convert between export formats of Blogger, WordPress, LiveJournal and Movable Type. Library and scripts are written in Python language and following sample are hosted on Google App Engine. You should notice that there is a limit size of a downloadable file on these Google Apps is just 1MB and can be used for small blog export files. Resizeimage.org is an online tool that let you resize images into small, medium and large size on the fly. You can also use its advanced editor too. 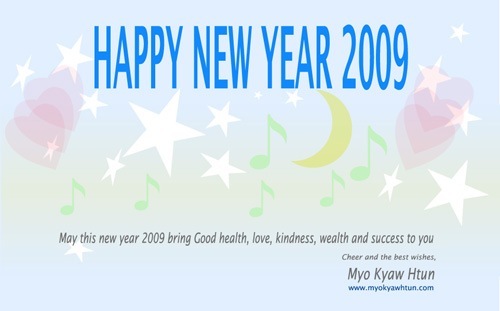 May this new year 2009 bring Good health, love, kindness, wealth and success to you.